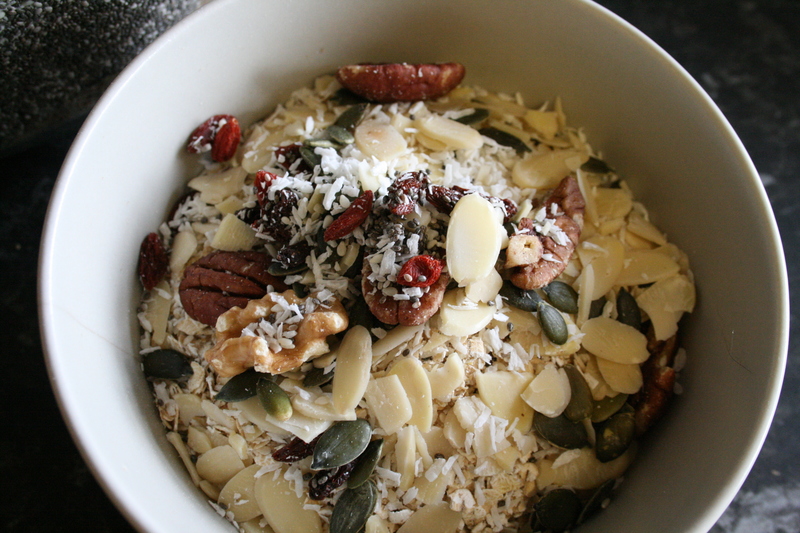 Oats are amazing! They are great for the bacteria in your gut, give you loads of energy, keep you full up and are loaded with fiber. Being vegan I don’t really need to worry about fiber because everything I eat has it in, but you can always do with more right? Mykey and I live a very hectic lifestyle. We are guardians to five cats and one very lively American Bulldog called Bailey. We also work full time and train twice a day everyday at the gym. A little while ago I decided we needed to cut down on the amount of time we spent getting ready in the morning for work, so I came up with this great time saving idea that gives porridge an extra health boost and tastes great. 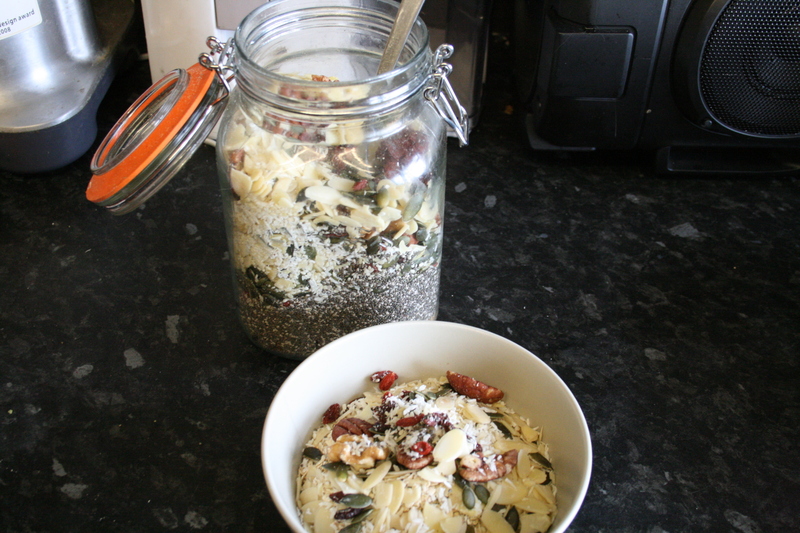 I make up a jar full of super foods that I then sprinkle on top. Before I used to spend and extra twenty minutes in the morning making sure our breakfasts were as packed with nutrients as possible. 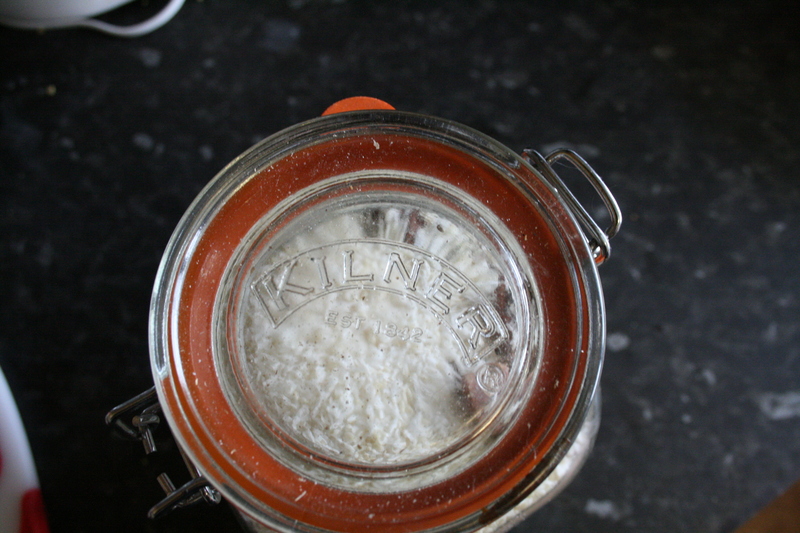 Now I stick my spoon in my jar and throw it on top of my bowl of oats, before smothering in soya milk and sometimes heating in the microwave. 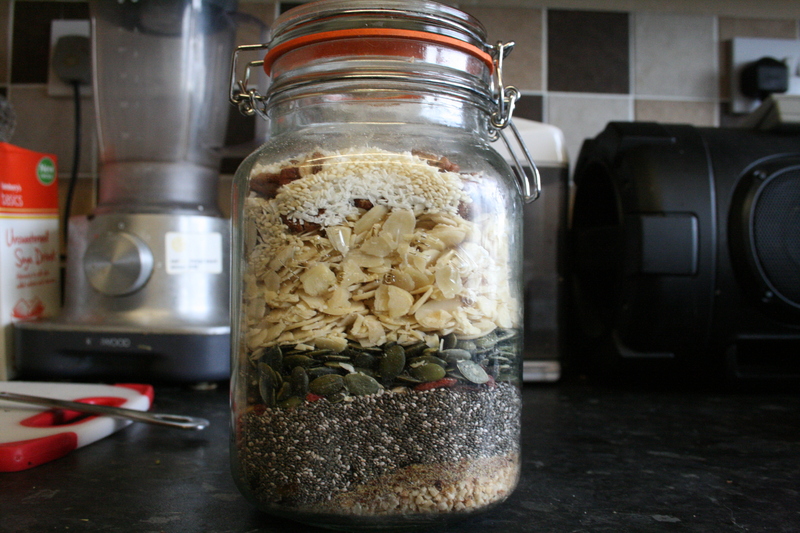 The jar lasts about a month if two of you are eating porridge everyday for 5 out of 7 days a week. 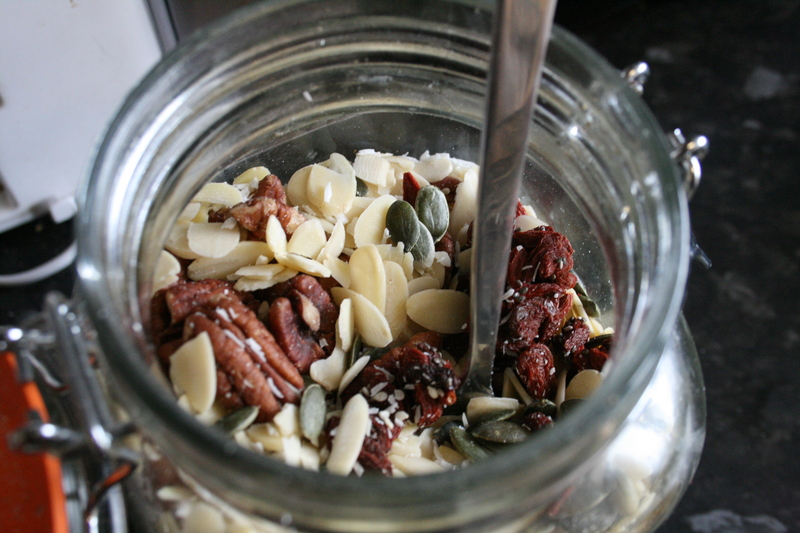 I also like to put different things in it each month, but this month I’ve gone with flaked almonds, pecan nuts, pumpkin seeds, dried goji berries, shredded coconut, walnuts, milled flaxseed, chia seeds and if I put anything else in there, I can’t remember!